Planning a holiday in the Highlands? Are you looking to stay somewhere peaceful and relaxing… but not too far from “civilisation”? Do you like the outdoors? Do you fancy a holiday hill-walking or cycling? Do you enjoy spending a day exploring the countryside, before coming back to a comfortable “home from home”? Or do you just want to get away from it all and ‘do nothing’…? Would you like to be able to prepare meals, yet not have to go too far for a terrific restaurant… if you decided you didn’t feel like cooking? Wouldn’t it be great to stay somewhere guests described as ‘the best place they had ever stayed’? Sleeping on “the most comfortable bed” many guests have ever slept on? What about “green” credentials? Would you feel better knowing you were staying in accommodation with a very light carbon footprint? One that exclusively used renewable energy? Where your showers and heating were provided by a biomass boiler, and solar panels? Or how about being able to holiday in a wheelchair-accessible cottage, that treats you like royalty… and doesn’t scrimp on luxury touches? If you’ve answered “yes!” to any of these . . . then Highland Farm Cottages is for you! We’re located in the hills above Dingwall, a few miles north of Inverness. The location is superb. 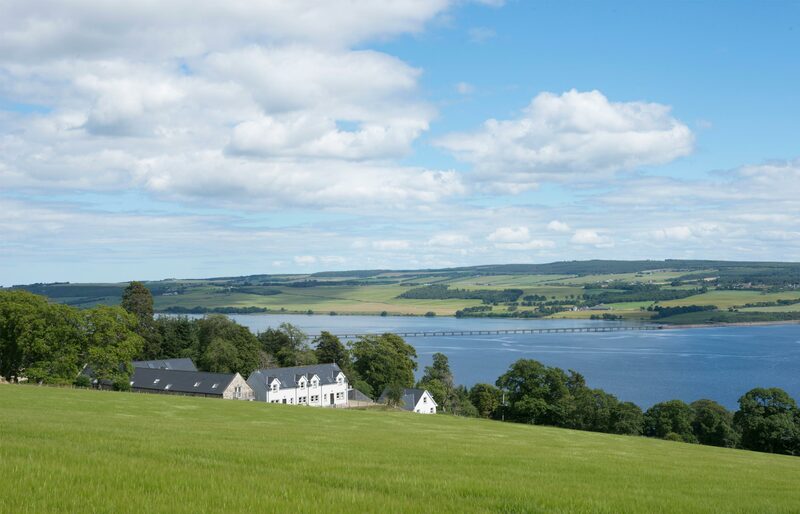 We’ve got stunning views of the Cromarty Firth and Ross-shire countryside. We’re an award-winning family business. We pride ourselves on providing luxurious accommodation in a tranquil, rural setting. Best of all, we’re 5 minutes from Dingwall town centre. So whether you’re getting groceries or a restaurant meal, it’s minimal fuss. If your days of “roughing it” are over, but you still want to enjoy easy access to the outdoors during the day, then Highland Farm Cottages is for you. Our guests describe us as the ideal combination of “peaceful rural retreat” and “luxurious accommodation”. No traffic. No noise. Spectacular vistas. Calm surrounds you. The best sleep you’ve had in months. Plenty of hot water for relaxing baths and showers. Plus your own fully-equipped kitchen and luxuriously appointed sitting room. Big-screen plasma TV, Blu-ray DVD, luxurious leather sofas in your sitting room, great views, and fast, free WiFi. We’ll forgive you for thinking you’ve died and gone to heaven. Click here to take a look at our range of cottages. We’re sure we’ve got the perfect one for you. 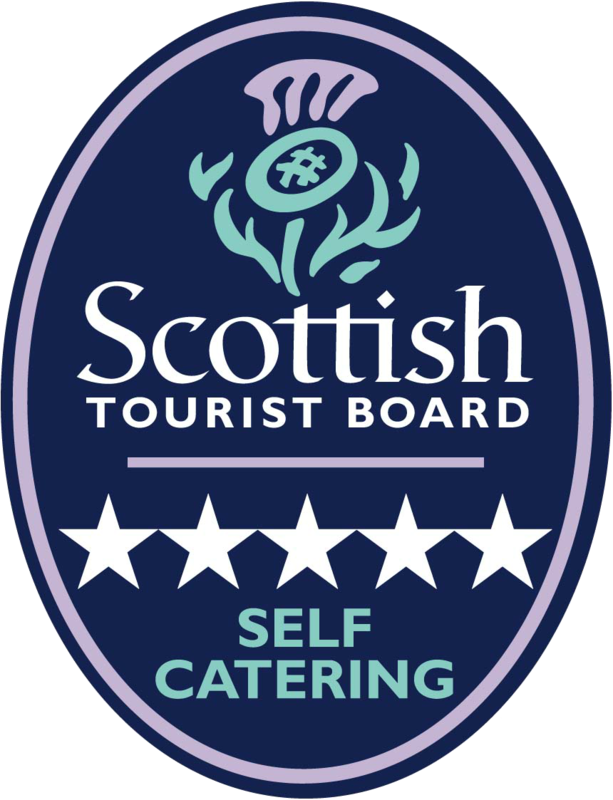 All of our Cottages meet with Visit Scotland's Five Star Rating so you can be sure of accomodation of the highest standard. Information about how to find us and travel options. We proud of our eco-credentials, having worked for several years to plan out how best to reduce our and our guests’ carbon footprint through investing in low-carbon technology. 5 star self catering cottages in the Scottish Highlands. 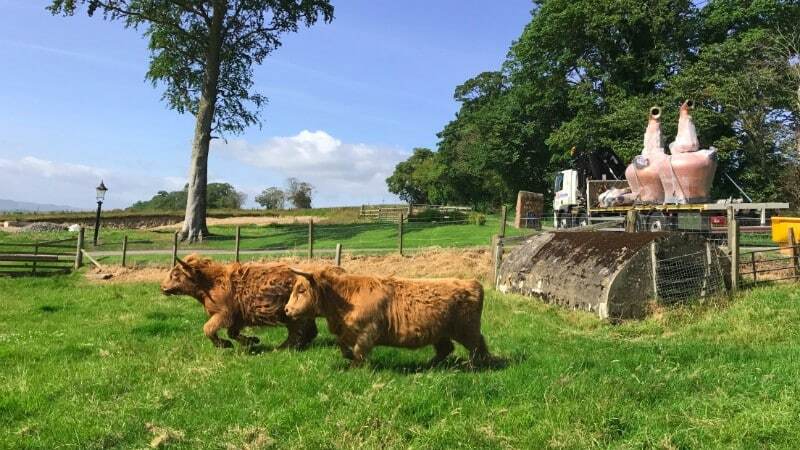 http://www.highlandfarmcottages.co.uk At 300 feet above sea level, facing South, Highland Farm Cottages have a commanding view of the famous Black Isle and Cromarty Firth. They are 1 mile from the Market town of Dingwall and 20 minutes from the Highland capital Inverness. They provide a luxurious self catering base to explore the mountains, glens, golf courses and distilleries of the Scottish Highlands. Highland Farm Cottages are set on the beautiful Highland farm of Mountgerald. 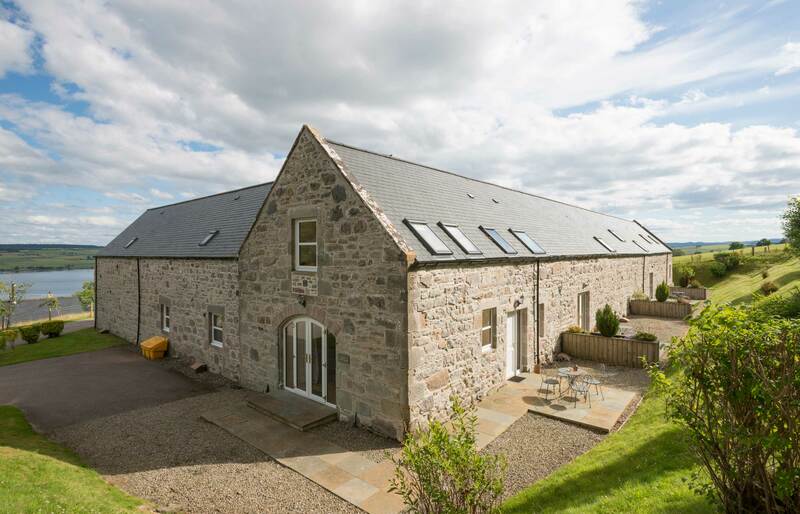 Built in the early 1800s as stone barns and stables this stunning location overlooking the Cromarty Firth and the famous Black Isle has been newly converted to provide luxury self catering accommodation in a rural setting. 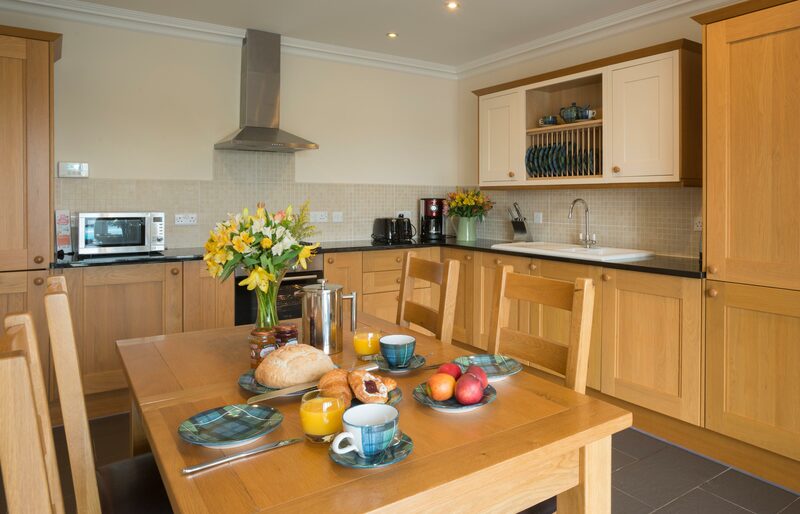 Each of our seven, five star, cottages has two bedrooms, 42" plasma televisions, unlimited free Wi-Fi, under floor heating, and private garden with patio and garden furniture. 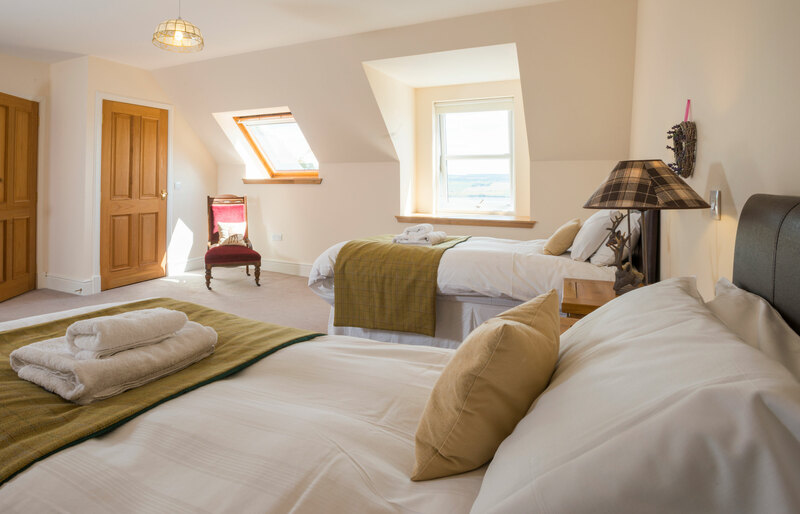 With stunning views South across the Cromarty Firth from almost every room, native Highland cattle and sheep lazing in the surrounding fields, it's the perfect place to relax and take in the Highland atmosphere. Highland Farm Cottages shared a post. Exciting opportunity to join a busy kitchen as a cook/chef. Enthusiasm to create great food is essential. Experience and a driving licence are preferred. Training will be given and promotion within our growing business would be likely for the right candidate. Hours are great with no split shifts, our kitchen is brand new and our menu is ever expanding. PM us if you'd like to be part of our team! Delighted to receive this award from the mighty booking.com. Thank you to all of our guests that took the time to write a review - it really means a lot! Just a reminder to our guests of the carol singers from Kiltearn Primary are singing in the cafe today at 5 o’clock. Complimentary mulled wine for those who can make it and a reminder that our restaurant and shop are open until 8 o’clock tonight. We’ll be serving Christmas dinner with all the trimmings so there’s no need to cook!